Please use the filter below to help select the correct product. Grade 304 Pressed stainless steel fixed castor with a 10mm bolt hole fitted with a grey thermoplastic rubber tyre on polypropylene centred wheel with a plain bearing. 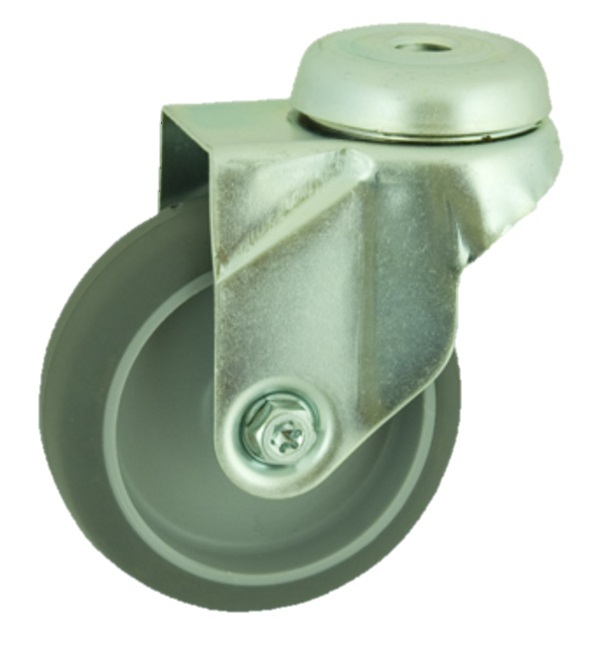 Wheel diameter 125mm, tread width 24mm, overall height 149mm.Load capacity 80kg. Grade 304 Stainless steel swivel castor with a 10mm bolt hole fitted with a grey rubber tyred polypropylene centred wheel with stainless steel ball bearings and a total lock brake. 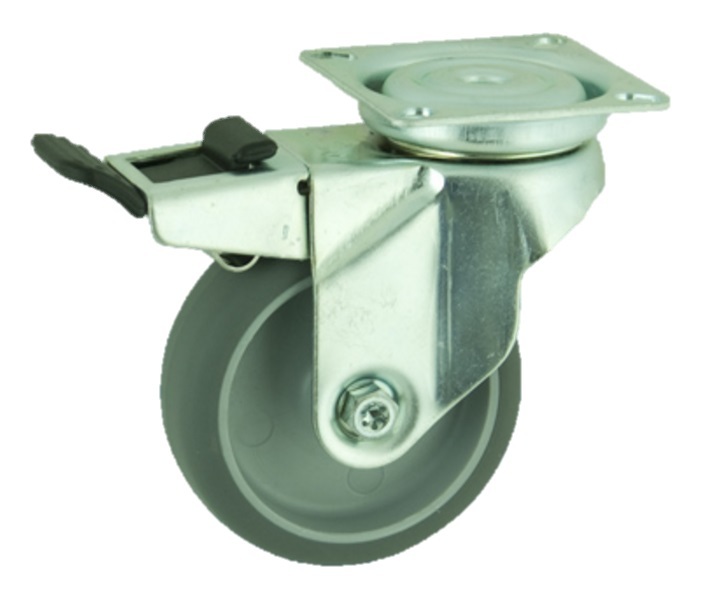 Wheel diameter 75mm, tread width 24mm, overall height 101mm, Load capacity 60kg. 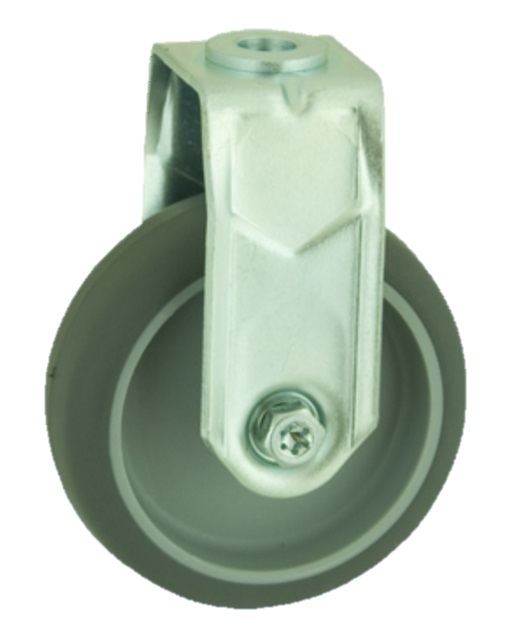 Grade 304 Stainless steel swivel castor with a 10mm bolt hole fitted with a grey rubber tyred polypropylene centred wheel with plain bore wheel. 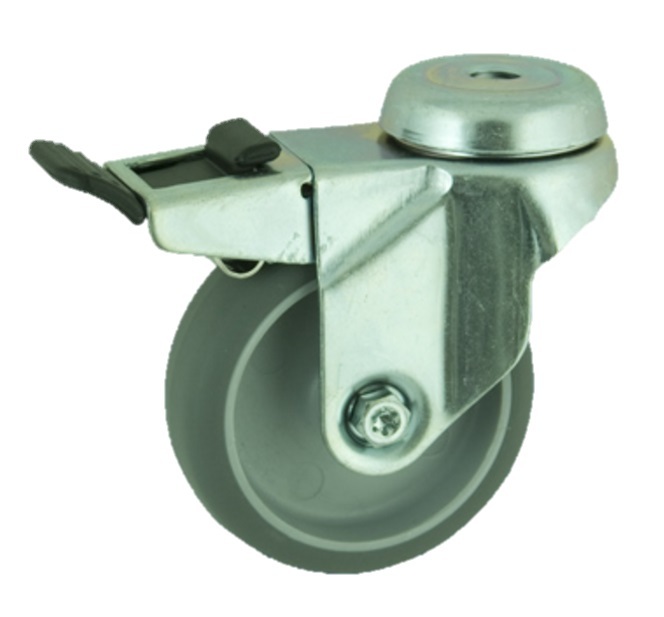 Wheel diameter 75mm, tread width 24mm, overall height 101mm, Load capacity 60kg. 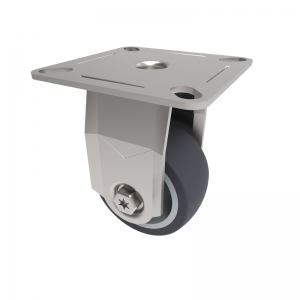 Grade 304 Stainless steel swivel castor with a 10mm bolt hole fitted with a grey rubber tyred polypropylene centred wheel with plain bore wheel and a total lock brake. 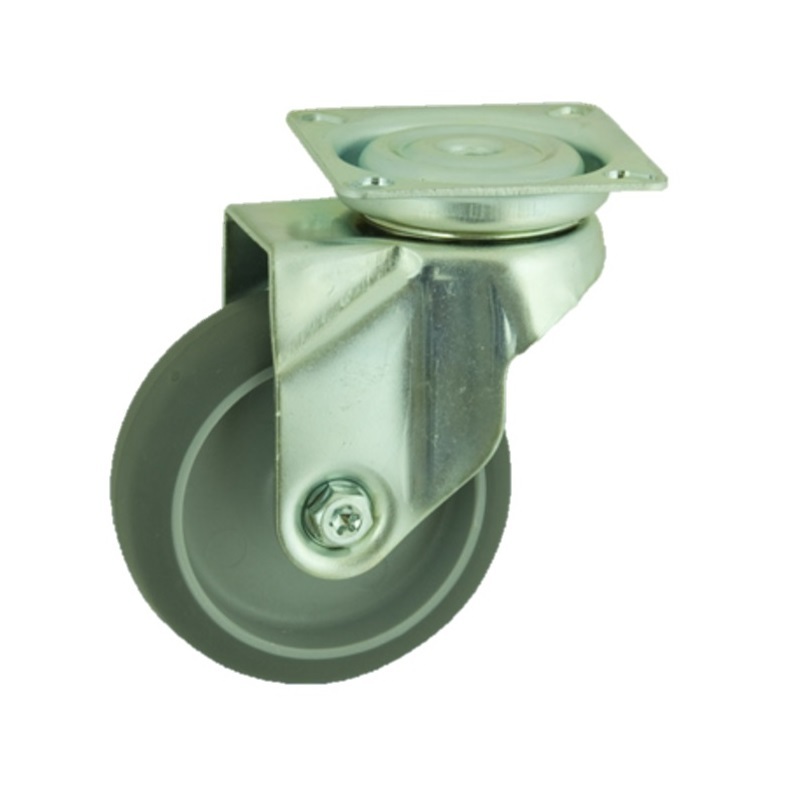 Wheel diameter 75mm, tread width 24mm, overall height 101mm, Load capacity 60kg. 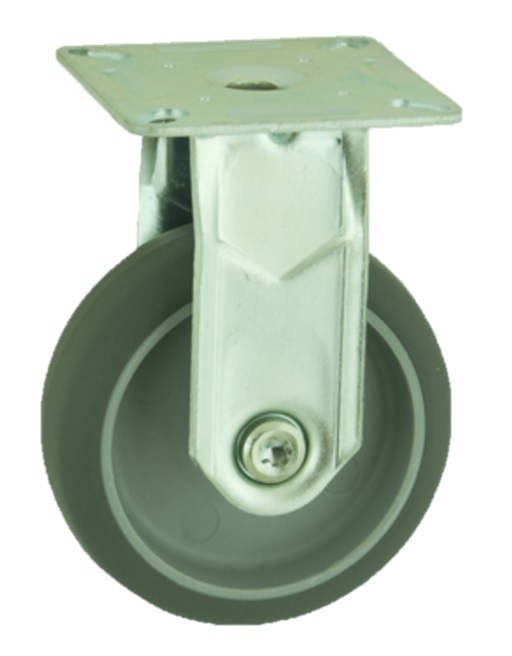 Grade 304 Stainless steel swivel castor with a 10mm bolt hole fitted with a grey rubber tyred polypropylene centred wheel with stainless steel ball bearings, Wheel diameter 75mm, tread width 24mm, overall height 101mm, Load capacity 60kg.